Rose hips were brought to the New World by Spanish invaders where they took root and thrived. Rose hip oil (also known as rosa mosqueta) is a wine colored oil from the ripened fruit and seeds of the Rose Hip. 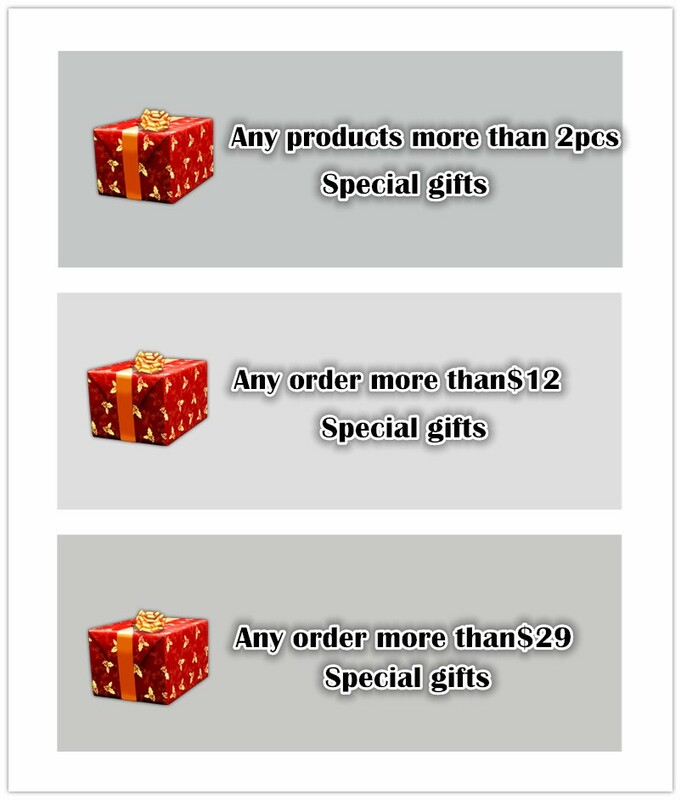 It is extremely high in essential fatty acids and now has much respect among professional skin care journals and organizations. It has a high vitamin content and is a natural source of Tretinoin the active ingredient in Retinol, Retin-A, Renova etc, and it has a high content of Vitamin C (ascorbic acid) the water soluble version of the active ingredient in Dr Perricones wrinkle treatment system and many other skin care programs. It also contains high amounts of essential fatty acids, and antioxidants such as lycopene which help form the building blocks of healthy skin Rosehip oil is an effective treatment for dry, weathered or dehydrated skin. It softens and minimizes scars and is the predominant natural oil used for treating wrinkles and aging. It can be used in all fine skin care recipes, or applied directly to the skin on its own with great success for any aging skin complaints. Considering the irritation direct application of retinoic acid to the skin can cause, (rosehip seed oil does not actually turn into retinoic acid until after it is absorbed and your skin decides it needs some and converts it) and the fact that being unpatented, it is cheaper. There is more data on rose hips as an anti-inflammatory, anti-oxidant, wound healing agent and in arthritis treatment. An interesting effect I noticed with rosehip seed oil was its ability to shrink pores. I was told nothing but microdermabrasion could do that, but I noticed Retinol did it and so does rosehip seed oil. The thing all three treatments have in common is the ability to peel of the top surface of the skin so the skin is forced to renew itself. Naturally that would appear to shrink pores considerably. Certainly I consider rosehip seed oil the treatment of choice for enlarged pores. 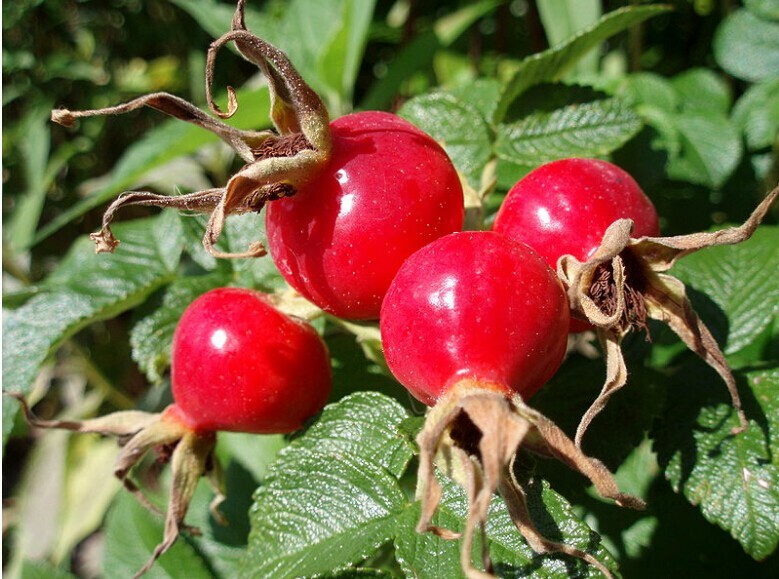 Rosehip oil reduces wrinkles and signs of premature aging. Helps to counter the drying effects of the sun which are usually first noticed in fine wrinkle lines or “crows feet” around the eyes and mouth. Evens tone and smoothes roughness. A natural moisturizer for dry, sensitive, allergic, sun damaged, problem skin conditions and daily skin care. Improves surgical and accidental scars, restores normal skin color (reduces redness or hyper pigmentation). It also avoids the formation of the keloid type of scar (lump) which may appear after surgical procedures and helps to make less apparent old scars left by acne or chickenpox. Provides excellent results in the treatment on burned skin or on skin that has been exposed to radiotherapy. RoseHip Oil also has a high content of unsaturated essential fatty acids, namely oleic (15-%), linoleic (44-50%) and linolenic (30-35%). They are called ” essential ” because our body is not able to reproduce them, and because they help to nourish and maintain a healthy skin. It is a superb tissue hydrator with a high absorbing level, penetrating dry skin almost instantly to restore a much needed moisture balance frequently lost by climatic and environmental conditions such as dryness and air toxicity. Effect To strengthen the organization efficiency, resulting in rolling organization function, easy to penetrate the dermis, moisturizing effect, promote skin smooth and whitening. For cell regeneration, repair and healing have excellent effect. It can dilute the skin pigment, reproduce uniform color, making the skin smooth. It can keep the skin clean, soft, smooth, moist, tight, strong, flexible, Feng Li role. In particular, as rough skin more effectively. The main effect of rose fruit oil: Scar: after operation and repair the facial scar pock, smooth convex and concave holes, tighten pores, dissolve blackhead. Wrinkle: to prevent wrinkles, including eye wrinkles, stretch marks, body lines, and in the short term, such as wrinkles and fine lines dark and eliminate, help Royal aging, anti-aging appear. Spots: prevention spots, freckles and melasma formation, the black desalination to disappear, restore the beautiful white. Burn: General burn or scald wound reduce the pain and rapid recovery. Sunburn: fierce sun too long after sunburn, quickly reduce pain and eliminate swelling. Dry Brown: the wet and dry rough skin, dry skin and exhaust the bursting refractory rich smooth moist hand, protective layer to prevent moisture loss, restore the original skin delicate sheen. General: eliminate itching itchy skin, very helpful for dry skin. SkidmarkS: General for a long time the SkidmarkS is longer, such as near the fetal period left scar and fat particles can be short-term reduction. Hair care: moisturizing hair moisturizing and repair dry hair and split ends and damage. Red: where there is injury, mosquito bites, skin allergies caused by skin irritation can quickly eliminate pain and obstinate as soon as possible the original. Skin care: every day with 2 drops of rose hip oil skin problems can not even repair the skin, Cosmetic applications 1, repair function: eliminate scars and pits Rose hips oil for acne, operation, burns, chicken pox, wounds and skin damage caused by scar incision is effective, dissolve comedones, shrink pores, eliminate swelling and erythema, Rosehip Oil strong cell regeneration and wound healing function contribute to the healthy, normal skin growth, instead of scar tissue. It can not only reconstruct the damaged skin structure, but also can improve the skin color and elasticity. 2, wrinkle firming function: to prevent skin aging Rose fruit oil can improve skin regeneration and renewal by promoting the activity of epidermal cells, thereby halting and reversing the aging of the skin produced by typical symptoms such as wrinkles, eye wrinkles and relaxation, with the disappearance of aging, facial skin becomes firmer and smoother. Rose fruit oil can repair and replace torn skin tissue, effectively reduces the appearance of stretch marks, shrinkage and eliminate stretch marks, the skin color is more moderate. Eliminate black eye bags under the eyes. 3, whitening function: reduce pigmentation It can promote the ability of proliferation of new cells, with new cells to replace the aging of cells, pigmentation spots will gradually reduce. Rose hip oil can reduce due to pregnancy induced pigment, repair sunburn skin, fade spots freckles, restore white face. 4, nourishing and moisturizing function: re moisturizing dry skin The forty or fifty year old skin oil secretion was 10 times less than years old, will disappear due to reduced secretion of skin oils and moisture function leads to dehydration and wrinkles. Rose fruit oil can restore the optimal balance of fatty acids and water, re moisturizing dry skin. 5, hair It can restore the luster of the hair and natural flexibility, improve by tincture, dyeing agent, hair, texture and appearance of excessive sun and other adverse environmental damage to the hair. Usage 1, care and maintenance: everyday morning and evening two. Cleansing water will be completely dry, gently massage for 2-3 minutes with 2-3 drops of rose fruit oil. 2, damaged skin: increase in the use of the damaged area, with the middle finger to make circular massage, gently press until completely absorbed. 3: oral, once a day, every drop, can be added to 500ml warm boiling water stir swallow, can also add honey, milk, soy milk or juice stir after adjusting water use 50ml. 4, 2 – 3 drops of rose hip oil coated skin need to gently massage a few minutes, sooner or later. 5, or in the beauty salon with ultrasonic nutrition (pregnant women should not), 2-3 times a week. 6, this product can also be used as a mask and massage oil with base oil. Advantage – whitening, freckle. Eliminate eye wrinkles. – get rid of stretch marks, obesity pattern. – get rid of red blood, black. – to eliminate dark circles. – to eliminate swelling. – repair sunburn, daily maintenance.